I am nearly certain every hunting expedition has a day like yesterday. It is the final gathering of resources and necessities needed before wandering far from civilization. You could sum this day up in one word and chasten writers who spend nearly a paragraph wrapping said word up in a pretty 5 dollar words. This word would be "shopping"; sometimes it is an enjoyable side adventure, but at other times it can be draining. We had been forewarned by Hotel staff that the Wal-mart in town was "the most expensive Wal-mart ever." Furthermore, it was rumored they were not actually affiliated with the corporate Wal-mart. This last ditty I found hard to believe. What we did find to be true was that both Wally World and the Sportsman's Warehouse were within easy walking distance from our accommodations. The rental car was not due to be ready until 1:00 PM, so we were left with only our shoe leather for transportation in the morning. After the short hike, we were wandering the isles of the reported dreaded, overpriced, made in china goods Wal-mart. 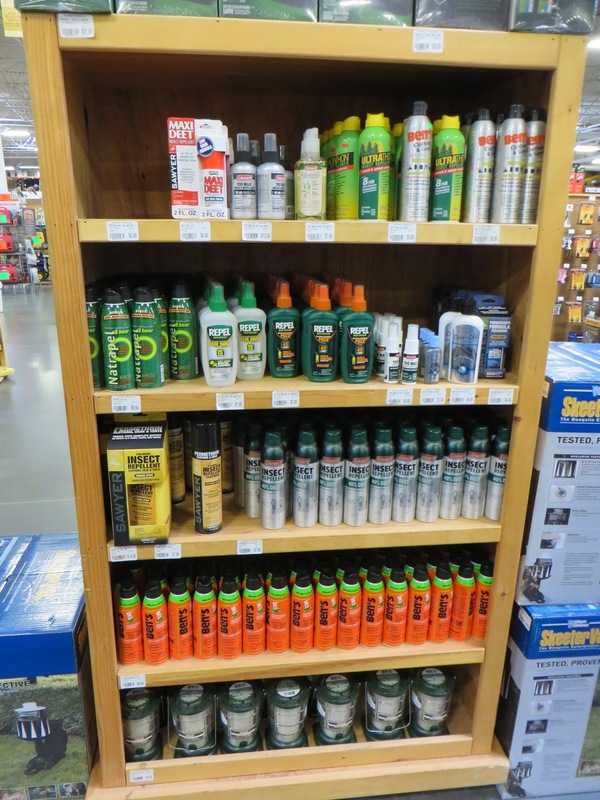 What you will notice about stores in Fairbanks is the prevalence of bug spray. The little shelves spread around the stores in the lower 48 that proudly display tasty potato chips or other deliciously fattening snack foods are replaced by foul smelling Cutters, OFF!, Ben's, or Repel sprays. I was amazed at the variety and choice in this matter. As bug spray was one of the items on the list we were drawn to these displays, but were confounded on what to buy. 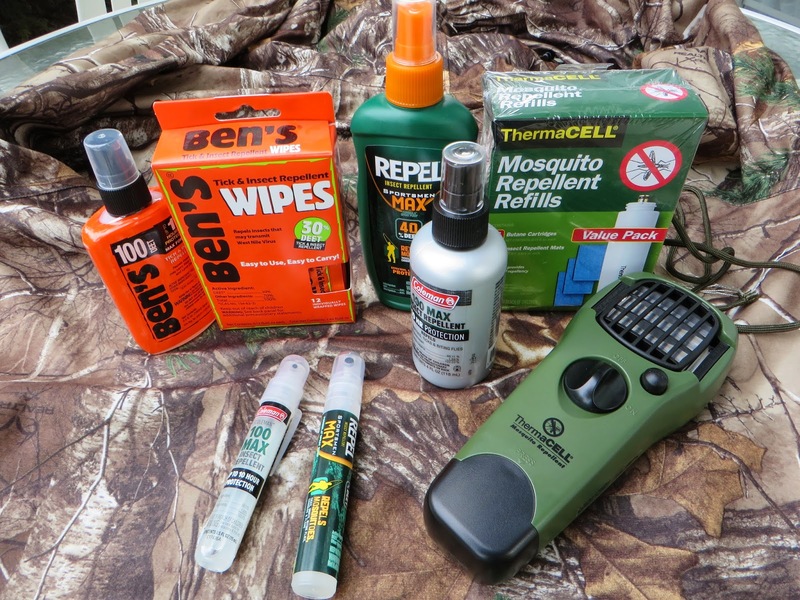 It seemed that every type of repellent was there, including wipes, 30, 40, 100% Deet, spray bottles, Pumps, Thermacells, and even one spray for gear that will actually kill mosquitoes. This latter bug product came with a sever warning to not let it get on your skin. This item did not find it's way into our carts. One of the many displays of bug repellent. Finding some difficulty in selecting our bug protection, we asked several staff members and local people throughout the day. Just like folklore and home remedies, it seemed that everyone had their own preferences and sworn proven system for repelling the insects. The only consensus among those polled was that Thermacells were a godsend and worked wonders. At the end of the shopping day each one of us possessed a Thermacell and enough refills to operate it continuously for 48 hours. Being a Wal-mart shopper in the lower states I was able to compare prices. What I found was that it was more costly in the Fairbanks store, but not overly. Wal-mart was the better priced of the two stores for cost when compared to Sportsman's. The staff in the store was incredible friendly and readily called competitors in town to find me items they did not have. I left the store with the opposite impression I had when I walked in. "Do not take it to the Arctic Circle!" I smirked at first when the rental car agent made this statement, I thought she was kidding, but she wasn't. I was already forgetting where I was, and that the Arctic Circle began only a mere 200 miles away. In any respects we had won the proverbially car lottery. Our reservation was for a standard car, as it was about the most we could afford. Just like everything else in Alaska, rental cars are more expensive. With all our gear we expected to take multiple trips to and from changing of hotels and airports while using a standard car. 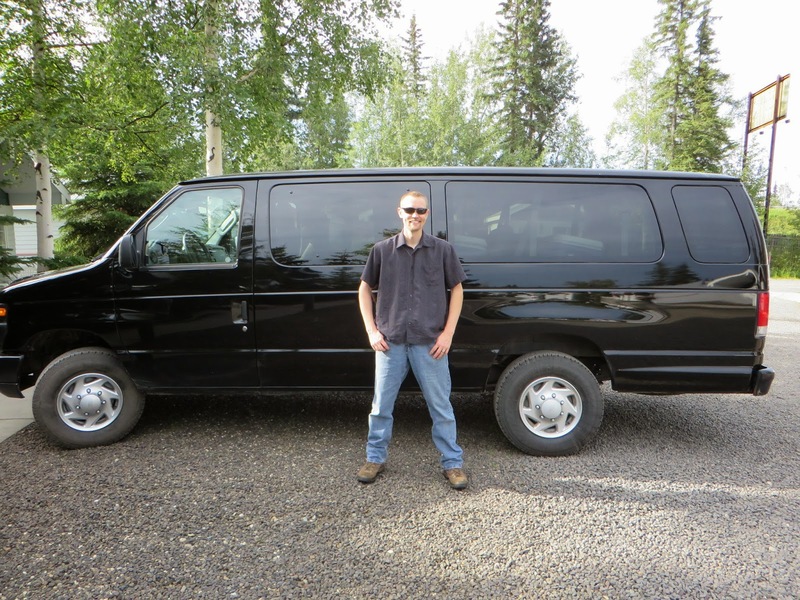 However, our car grew to a 15 passenger van at no extra cost as it was all that was sitting on their lot. With wheels and a little bit more freedom obtained, we spent some time driving around Fairbanks. I found the city similar to a Colorado Mountain ski town, both in price and setting. The atmosphere differed much from that of those towns, less touristic and definitely more rustic. The one thing I found for certain is that everything is more expensive in Alaska. If you plan to travel here make sure you include extra in your budget. Day three will be our first full adventure day. We plan to see the pipeline, travel up to the beginning of the Dalton highway, and perhaps try our hand at Alaska fishing. I look forward to seeing more of Alaska's less urban environment. I shopped as normal and scanned my receipt afterward. Two days later WalMart notified me that they gave me $1.98 back because the bacon was cheaper at Food Lion!